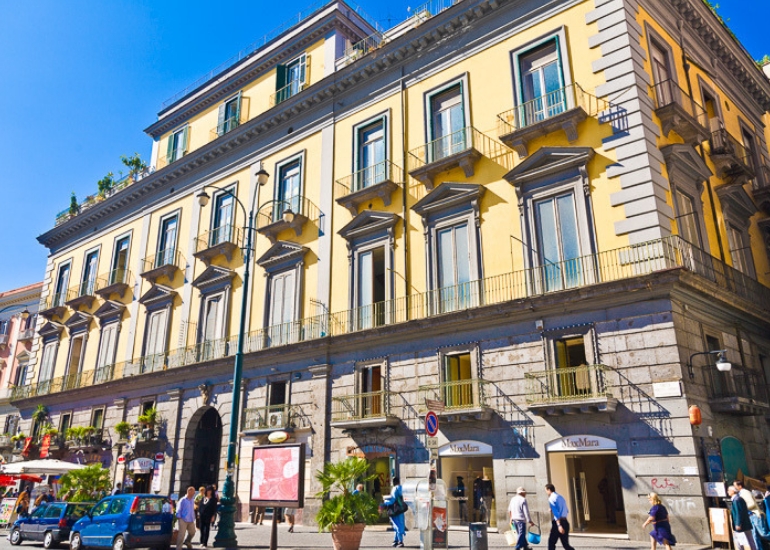 In the heart of the city of Naples, precisely in the historic Piazza Trieste e Trento, stands one of the buildings symbolizing power in the city or the palace of Cardinal Zapata. Built in 1550 by the will of Cardinal Antonio Zapata, this palace originally had a completely different appearance from the one it has today. Its appearance in fact resembled that of a castle with towers, ditches and a drawbridge. The palace was built precisely to house Zapata who quickly became a feared inquisitor. This “castle” was the residence of the ecclesiastic until 1620, the year in which the cardinal saw the bad relationship established with the Neapolitan people, he was forced to abandon to return home. Later it was purchased by Baron Girolamo Sarnelli who transformed it into a residence for himself and his family, also bringing various architectural improvements. In 1810 instead the palace passed into the hands of the doctor Domenico Cotugno, who took care of the umpteenth restoration of the building, this time however inspired by the first projects of Carlo Vanvitelli. From this moment on, the palace of Cardinal Zapata, lived the maximum architectural splendor, in a neoclassical key that it is still possible to admire. This palace embodies, really compelling stories related to the characters it hosted. Over time, we can say that it has gone from the palace of power to the palace of culture. In recent years, in fact, Palazzo Zapata has become the seat of one of the most famous cafés in the city, namely Europa Coffee, and some cultural circles. Despite its many transformations, it continues to maintain its timeless appeal.